Hinduism is the world’s oldest religion, the third largest religion in the world in terms of the number of its followers, and the largest of the non-Biblical traditions. It has the largest number of temples, sacred sites, festivals, philosophical texts, monks and yoga practitioners of any religion. Yet Hinduism is wrongly denigrated as a narrow ethnic belief that one has to he born into in order to follow and which has little relevance outside of India. Though Hinduism is the largest pluralistic spiritual tradition in the world, embracing the whole of human spiritual aspiration since the beginning of time, yet it is denigrated as polytheism, if not mere superstition. Hinduism remains the most misunderstood and denigrated of the world’s great religions, though it has a genuine claim to be the greatest or most comprehensive of them all. Universal Hinduism presents a dynamic view of this venerable tradition as a religion, spiritual culture, art, science and way of life that is vital and crucial for everyone living on the planet today. Hinduism provides the vision of Sanatana Dharma, a universal and eternal tradition of truth, natural law and respect for the sacred nature of all life that is necessary for our continued well-being as a species and for the protection of the natural world. It behooves all those interested in any higher reality to examine this great tradition that honors consciousness as the universal reality and that carries so much of the search for Self-realization in humanity. The book covers a wide range of issues in religion, spirituality and culture emphasizing the role of Hindu Sanatana Dharma as a global force for change and higher consciousness. Topics include the dialogue between religions (Hinduism and Christianity, Buddhism, and pagan traditions), Yoga, Vedanta, ecology, science, information technology, politics, the social order and more all relative to the role of Dharma and views of the Hindu mind going back to the Vedic rishis. It emphasizes that Hinduism can be explained as a universal path of Self-realization without Hindus having to give up their own particular religious identity, or uncritically accept other religious beliefs or spiritual teachings. 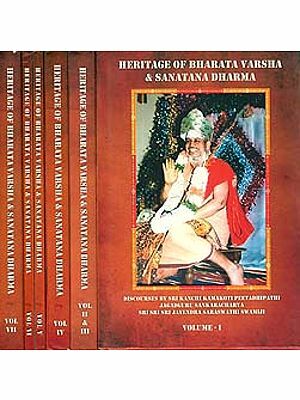 The book includes important introductory notes by noted Indian guru Sri Sivananda Murty and by noted American Hindu teacher Sri Dharma Pravartaka (Frank Morales), giving eastern and western perspectives on these important issues. Acharya David Frawley (Pandit Vamadeva Shastri) has been one of the most important teachers, writers and commentators on Hindu and Vedic teachings, both in their classical forms and in the contemporary context, over the last thirty years, with a wide variety of texts to his credit, including translations of the Vedas, studies of ancient India and modern India, works on Yoga, Vedanta, Tantra, Vedic astrology and Ayurvedic medicine. In the current volume, Frawley examines the deeper nature of Hindu Sanatana Dharma and how to better communicate and spread its message, not only in India but to the world at large, which be views as crucial for bringing peace and wisdom to humanity. Acharya David Frawley (Pandit Vamadeva Shastri) has been one of the most important teachers, writers and commentators on Hindu and Vedic teachings, both in their classical forms and in the contemporary context, over the last thirty years, with a wide variety of texts to his credit, including translations of the Vedas, studies of ancient India and modem India, works on Yoga, Vedanta, Tantra, Vedic astrology and Ayurvedic medicine. In the current volume, he examines the deeper nature of Hindu Sanatana Dharma and how to better communicate it and spread its message, not only in India but to the world at large. His most relevant books to the present volume are Arise Arjuna: Hinduism and The Modern World (Voice of India, 1995), Awaken Bharata: A Call For India’s Rebirth (Voice of India, 1998), How I Became A Hindu, (Voice of India, 2000), Hinduism and The Clash Of Civilizations (Voice of India, 2001), The Myth Of The Aryan Invasion Of India (Voice of India, 1994), Rig Veda and The History Of India (Aditya Prakashan 2001), Yoga and The Sacred Fire (Motilal Banarsidass 2006), and Hidden Horizons: Unearthing 10,000 Years Of Indian Culture (Swaminarayan Aksharpith, 2006). Since the beginning of the twentieth century, teachings deriving from the Hindu tradition, particularly Yoga and Vedanta, have gained tremendous popularity worldwide, reaching all corners of the planet and almost every culture. Yet at the same time, the background system of Hinduism or Sanatana Dharma has not been well appreciated or understood. Hinduism has remained associated with negative colonial and missionary stereotypes like polytheism and caste, which few have properly questioned, while its broader scope has seldom been addressed. However, this situation is now beginning to change in a significant, if not dramatic manner. There is a widespread interest developing in Hinduism itself both including and transcending its appealing new global manifestations. Hindu Dharma is steadily gaining its proper recognition as the oldest and most comprehensive of the great religious and spiritual aditions on the planet, with a culture and literature that is vast and profound. This regard for Hinduism parallels a new interest in Vedic sciences like Ayurvedic medicine, Vedic astrology and Vastu which show the broader scope of Hindu teachings extending to all aspects of life. This new Hindu movement also reflects the global spread of Hindus from India to the West as one of the most vibrant minority communities in the western world today, where affluent and well educated Hindus are the norm, not the exception. There are now beautiful Hindu temples in all the main cities of the West, particularly in the US, UK and Canada. The image of Hinduism as a religion of the poor or uneducated has been shattered by the great achievements of Hindu immigrants in science, medicine, business and technology. The average Hindu in the West has a level of education and income much higher than the ordinary person, so that foreign Hindus usually constitute a new elite in the countries of residence. There is a similar resurgent Hinduism in India with a large attendance to Hindu temples, widespread pilgrimage to Hindu holy sites and a regular observance of Hindu festivals — which is almost unknown in any other religion with many millions attending Hindu events on a regular basis. India’s new middle class, the largest in the world, is demonstrating a great interest in the traditional culture of gurus, rituals, and yoga practices. A resurgent Hinduism is beginning to take its place on the world’s stage with Hindu religious, cultural and scientific leaders coming to the forefront in all major fields of life. Behind all this, Hinduism is once more emerging in its full scope as Sanatana Dharma, a universal and eternal tradition of truth, knowledge and consciousness that encompasses all life and is relevant to all creatures which is its original formulation. Sanatana Dharma is again becoming a global force not only in religion and spirituality but in science and culture as well. Yet in spite of these spectacular gains, the new Hindu movement is not without its major difficulties or its determined opposition. Some of these problems are a continuation of the old enmity of hostile religions seeking to convert Hindus to their contrary beliefs. Other obstacles occur in new trends in modern civilization where commercial interests prevail, including an envy or suspicion of Hinduism’s new global influence and spiritual ethos. Yet a number of these problems arise from weaknesses in the Hindu movement itself. The Hindu movement lacks the clear voice and comprehensive articulation necessary to allow Hindu Dharma to gain its full recognition and respect on the world stage. We still find Hinduism demeaned in the media and in academia in a way that no other major world religion is treated, with western psychology rather than yogic spirituality often the main basis for its interpretation. Though it is the oldest religion in the world and the largest of the non-Biblical traditions, a Hindu view on world issues is seldom considered. To address both the opportunities available for the new Hinduism and its challenges, the current book, Universal Hinduism: Towards a New Vision of Sanatana Dharma, has arisen. Over the past twenty years I have written several books on Hinduism and India, examining important issues from ancient history, culture and philosophy to current affairs. At the same time, I have done a series of texts on various Vedic sciences, including Ayurveda, Vedic astrology, Yoga, Tantra and Vedanta. The present volume aims at the global issues of Hinduism, which includes India as perhaps its central focus, but extends to all continents, including the Hindu Diaspora and neo-Hindus in the West. The book reflects an effort to recognize Universal Hinduism and Sanatana Dharma, its ancient roots and its modern resurgence and perhaps more importantly to promote a new formulation and expression of its prime principles in light of its changing audience East and West. Universal Hinduism: Towards a New Vision of Sanatana Dharma examines the relationship of Hinduism with other religions, its similarities and differences, including the issues f interfaith and conversion. It highlights Hinduism’s connections with native and pagan traditions, which are considerable. It looks into Hinduism’s view of nature including ecology, evolution and science. While not primarily addressing social or political issues, it does explore concerns Hindus have with these outer aspects of life. It examines the caste system, its deeper origins and solutions to the problems caused by its current distortions. The book endeavors to articulate Hinduism in its broader sense as the eternal tradition of Sanatana Dharma, without losing sight of the uniqueness of Hinduism, its different branches, its living lineages and millennial currents. It holds that Hinduism is by nature universal and does not need to be made universal by subordinating it to another religion, or by making it but one facet of a greater universal tradition that includes all religions as its different branches. The book aims at reformulating the idea of a universal tradition which many groups in the world have considered in light of Hinduism, which is probably the most ancient and complete expression of the universal tradition on the planet. The book is an affirmation of Hinduism which welcomes all truth and dharma but does not give up Hindu identity or heritage in the process. It calls for respect for Hindu Dharma and its particular teachings, not just as a common ground for other religions but as having its own beauty and power. It holds that Hindus can be open, expansive and expressive without having to hide their Hindu identity or provide an uncritical blanket acceptance of all that calls itself religion in the world. The book honors India as the heartland of global Hinduism but does not limit Sanatana Dharma only to an Indian tradition. It stresses the relevance of ‘Sanatana Veda Dharma’ or Hinduism as part of an eternal tradition of spiritual knowledge, a science of consciousness and Self-realization for all living beings. Some readers may object to the apparently ethnic or geographical term ‘Hinduism’ for this greater Sanatana Dharma or universal tradition. 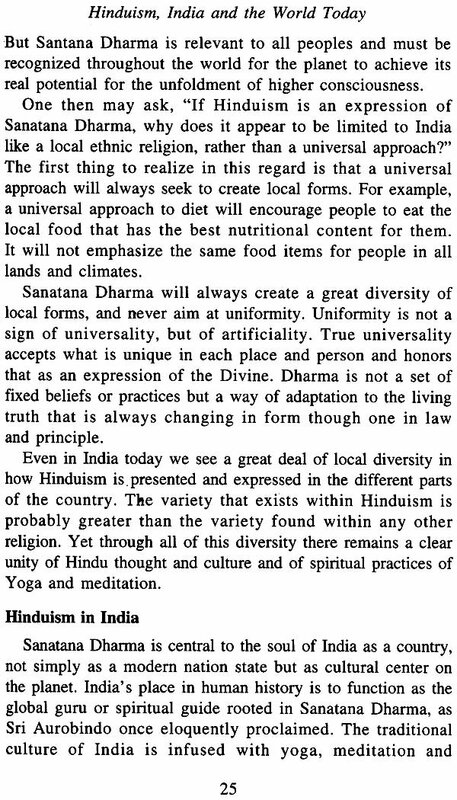 Certainly we should work to promote the term ‘Sanatana Dharma’, as the term ‘Hinduism’ can be misleading. However, in schools, libraries and bookstores, in the media and at governmental levels in all countries today, the term Hindu prevails for this great tradition, while Sanatana Dharma as a religious designation is hardly known. We must therefore look to a broader redefinition of Hinduism in the world mind until it can be replaced by the more correct term of Sanatana Dharma. But not to use the term Hinduism and to only use Satana Dharma will cause yet more confusion and lack of communication for the broader audience. We hope that the reader bears this in mind. Finally, I would like to thank Sri Dharma Pravartaka (Frank Morales) for his brilliant introductory note that reflects his deep understanding of the universal dharma and the need to spread it globally for the benefit of all. In addition, I would like EQ offer my obeisance to Sri Sivananda Murty, one of the most important living Hindu and Yoga gurus of our times, who is particularly renowned in his home region of Andhra Pradesh, for his kind comments. Aditya (Joel and Lokesh Chandra have been helpful for their comments on the book and the issues contained within it Mac that Universal Dharma arise once more in its full glory throughout the world, both as a way of knowledge and a spiritual culture, carrying the millennial experience and vast inspiration of the ancient Vedic seers for all to embrace. The spiritual tradition of Hinduism was intended from its very origin in the divine realm to be an inherently universal phenomenon in both the scope of its philosophical concern and in its practical applicability. Hinduism is a religion that is designed by its very nature to be open and welcoming to all of the world’s diverse people, regardless of their individual ethnicity, race, caste or language. 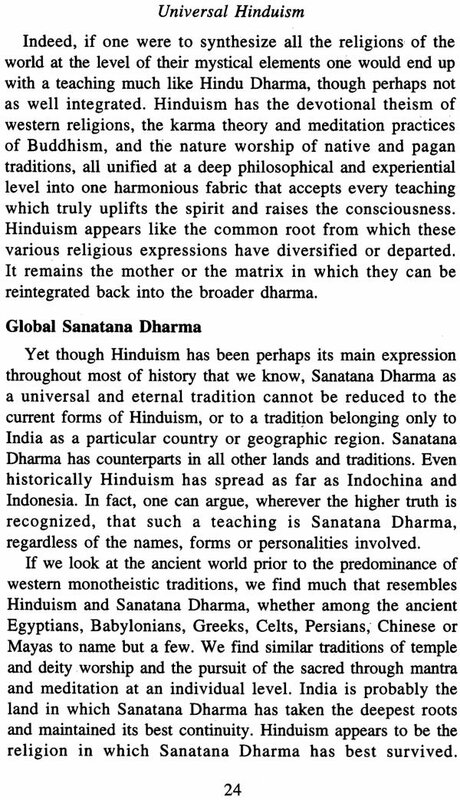 This global reality of Hinduism is clearly reflected in the original Sanskrit terms found within its own Vedic scriptures that are used to describe the religion. Hinduism is historically referred to in the scriptures as Sanatana Dharma, the “Eternal Natural Way”; Vishva Dharma, the “Universal Way and Vaidika Dharma, the “Way of Truth”, among many other self-referenced appellations. Hinduism was always in reality so much more than merely the “religion of India”. Throughout its history, Hinduism has always been a trans-geographical spiritual-cultural matrix, a universal spiritual culture designed to be practiced by all the people of the Earth. This fact is attested to by the history of Sanatana Dharma. Even as recently as 2500 years ago, the Hindu sphere of direct cultural influence was not limited in any way to only India, but ranged over at least two-thirds of Asia. In the pre-Buddhist era, the entire territory ranging from much of ancient Persia (today’s Iran), Central Asia and Afghanistan in the West; extending into the South Asian region that today includes such nations as India, Pakistan, Nepal, Bhutan, Tibet, Sri Lanka, and Bangladesh; and including the South-East Asian nations of Burma, Thailand, Cambodia, Laos, Malaysia, Vietnam, Indonesia, and much of south China and the Philippines were predominantly Hindu states. On a more peripheral scale, centuries of scholarly research have repeatedly demonstrated that Hindu and Dharmic influences extended also to much of ancient Celtic, Germanic, Greco-Roman, Hittite, Mesopotamian and pre-Columbian cultures as well, to name only a few. Indeed, in the ancient world scene of pre-Abrahamic history especially, it could be justifiably argued that the Dharmic way of living and thinking served as the paradigmatic foundation of almost every important culture and civilization on earth. The boundless breadth and expansive depth of Hinduism is found not only externally in its historically global reach and universal influence, but also internally in its multiple and well- developed arts and sciences. For unlike any other spiritual world-view in existence, there is no aspect of the human experience — from the aesthetic, literary, scientific, economic, medical and political realms, to those of philosophy, metaphysics, psychology and ultimate mystical transcendence that Hinduism does not address directly, systematically and conclusively. It is, in fact, especially through its arts and sciences that we now see Hinduism once again beginning to spread its benevolent influence throughout the entire world after a two-thousand year period of forced steady decline. Throughout the entire globe, in almost every nation on earth, from Europe and the Americas, to the former Soviet Union, East Asia and even the Middle East, we have witnessed a virtual explosion in the last few decades alone of multiple tens of millions of the Earth’s diverse inhabitants enthusiastically embracing such core Hindu practices as Yoga, Avurveda, Jyotish, mantra meditation, Vastu, chakra work vegetarianism and natural healing, as well as deeply 4Dreciating overtly Hindu forms of philosophy, music, foods and art. As Dr. Frawley himself states in this work, “Hinduism is once more emerging in its full scope as Sanarana Dharma, a universal and eternal tradition of truth, knowledge and consciousness that encompasses all life and is relevant to all creatures — which is its original formulation. Indeed, what is even more revealing about the nature of the current Hindu resurgence is the fact that we now have millions of non-Indians globally that consciously identify Hinduism as their chosen religion; and who, when asked what their religion is, will verbally assert with pride: “I am a Hindu!” Thus, what began in its original inception as a Vishva Dharma — a universal spiritual path — has now come full circle to become a truly world religion once again. As the entire world continues to adopt Hindu practices at lightning speed, it is now safe to say that the vast global influence of Hinduism lay not only in the historical past, but as an ever-increasing future reality. The Vedic world-view can no longer be seen as something that is to be relegated to an archaic past, and of interest only to a hand-full of self-serving academicians, scholars and Indologists” scrambling to make a name for themselves in their attempt to lay intellectual claim to the corpse of a supposedly dead culture. Rather, Sanatana Dharma is a living and dynamic spiritual phenomenon. Hinduism does not represent the past. It is the future. The present work by Dr. David Frawley (Sri Vamadeva Shastri) serves in itself as a further important piece of evidence documenting the revived universal scope of the Hindu world- view. 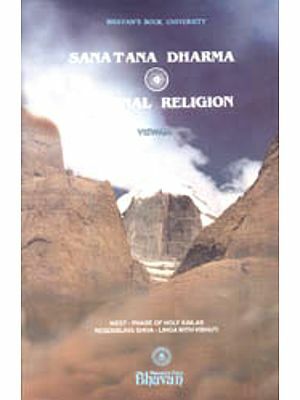 Written by a well-respected contemporary Yogi, Vaidya, Veda-Acharya and Hindu scholar of specifically Western origin, “Universal Hinduism: Towards a New Vision of Sanatana Dharma” is a crucially relevant and important work that needs to be, not merely read in a cursory manner, but deeply analyzed by all serious Hindu practitioners, activists, gurus and leaders. 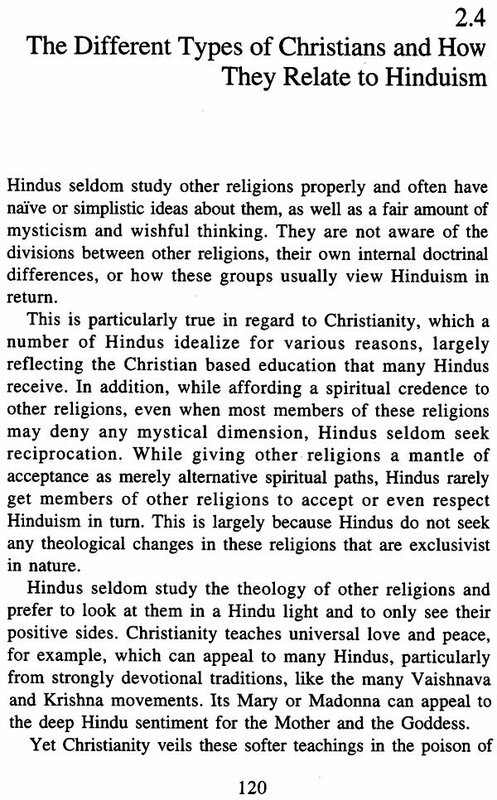 In this work, Dr. Frawley not only documents the many positive influences that the Hindu world view continues to have upon the entire world, but more, he explains in brilliant fashion why the re-universalization of Hindu Dharma is both natural to the religion’s very essence, and thus an inevitable development. Like many of Dr. Frawley’s previously published, highly innovative works, “Universal Hinduism” is a groundbreaking book in many respects. For this work lays out like no other book has been capable of to date both I) an exposition of the natural universality of Hinduism and its fast growing appeal to millions of non-Hindus throughout the globe, as well as 2) a blueprint for how to ensure that Hinduism continues to make its transition from a religion that experienced a thousand years of persecution to now again becoming a powerful world religion in a manner that will be most conducive for its healthy continued growth. This book is nothing less than a clear manifesto for ensuring the rightful place of Sanatana Dharma as a global force for good in the 21st Century. 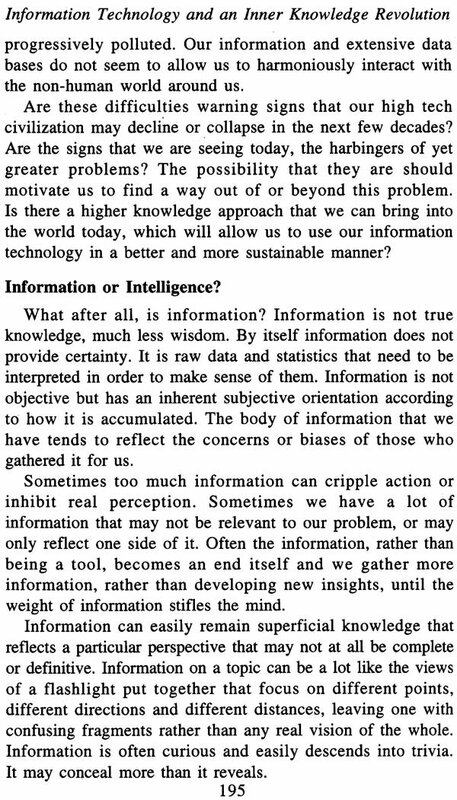 The number and scope of topics that Dr. Frawley brilliantly addresses in this work are too numerous to address deeply in a brief prefatory exercise as mine. 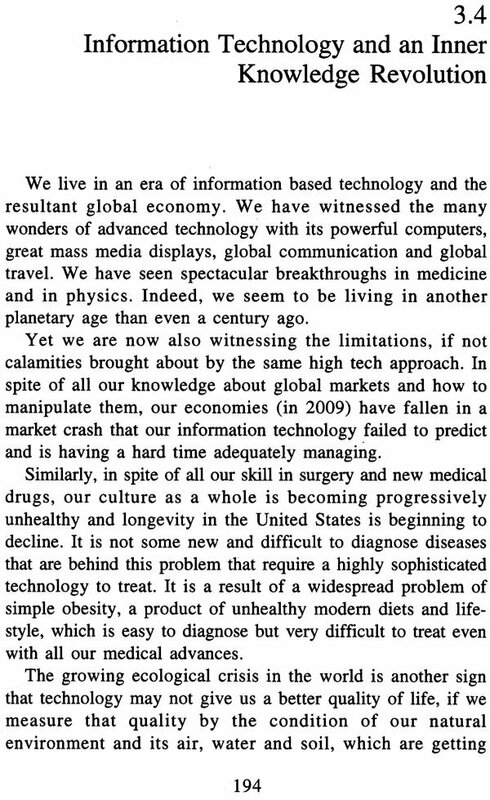 I do, however, wish to highlight a few topics at I think are especially crucial. 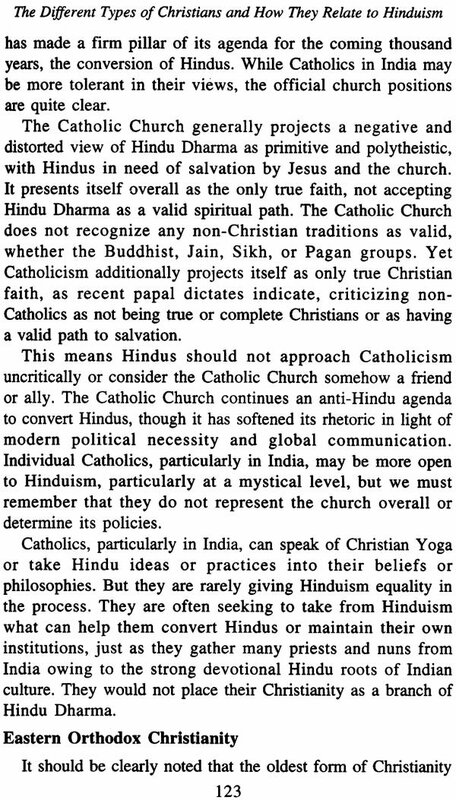 In outlining the universal nature of Hinduism, Dr. Frawley very expertly avoids the common pitfall perpetrated by all too zany Hindu leaders of reducing Hindu universalism to what I live previously termed “Radical Universalism”. 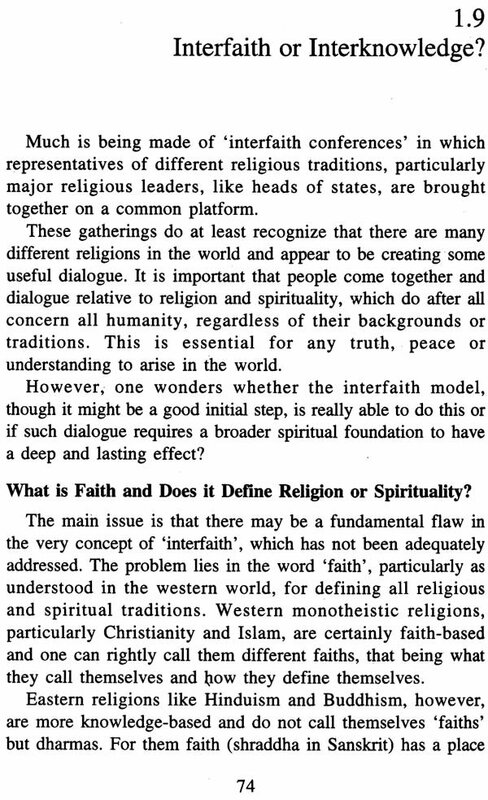 As the author ably points out, the fact that Hinduism is a religion that is universal in nature and is open to being practiced and to full adoption by all human beings is in no way to be equated with ne false notion that all religious and spiritual paths are indistinguishable from one another. 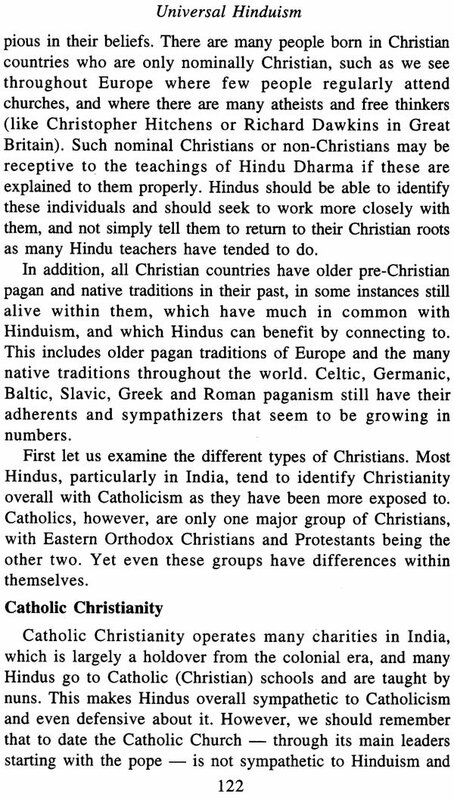 Hinduism does not teach that all religions are the same. 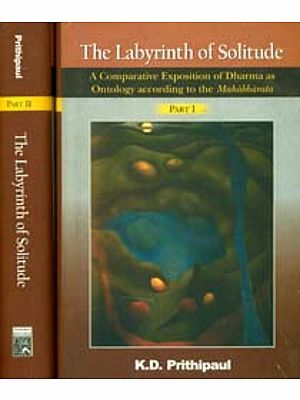 Dr. Frawley correctly reminds is that Sanatana Dharma is its own unique and systematized Spiritual tradition that contains within its inherent being a distinctive sense of spiritual/cultural identity, history and ‘‘se As Dr. Frawley so well states the problem in the first chapter of this work. 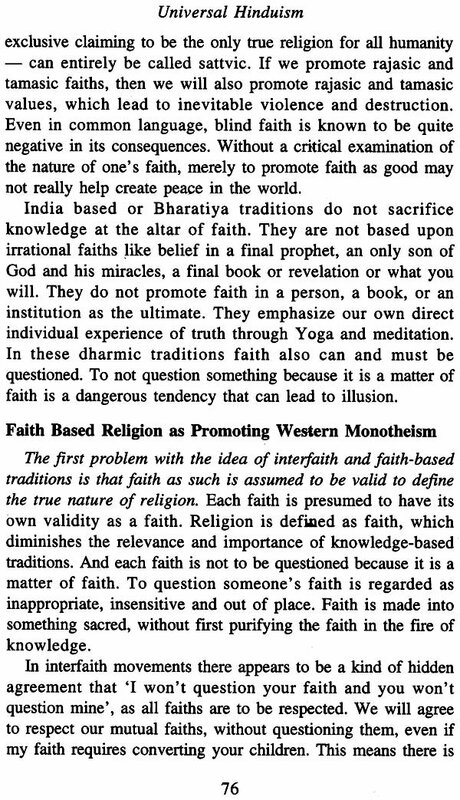 Hindu universalism is not a radical universalism that equates religions as they are and removes any differentiation between religious teachings and doctrines. 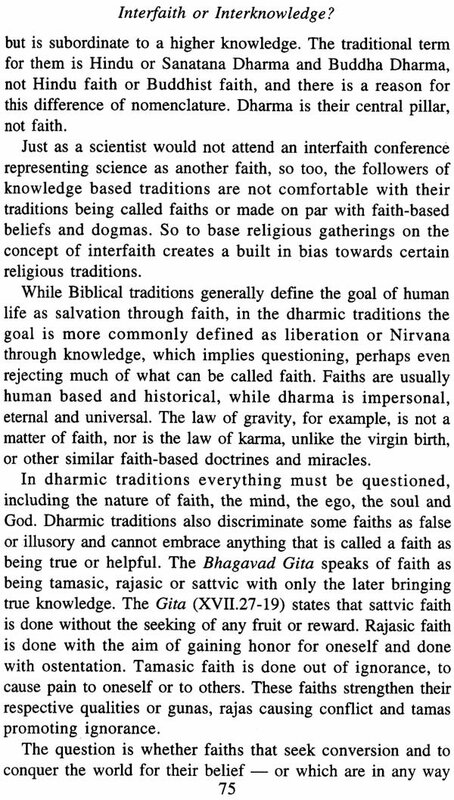 Hindu universalism reflects an understanding of universal law that cannot be made subordinate to religious dogmas, beliefs, faiths or institutions. 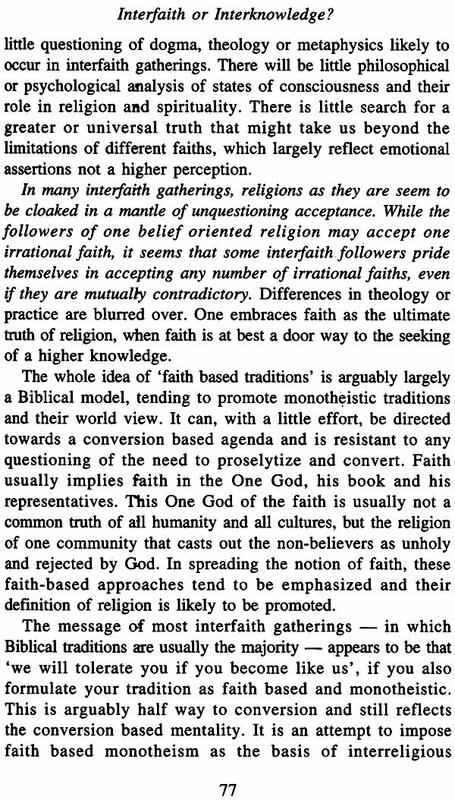 Hindu universalism leads us to a rigorous science of consciousness, not simply to an attempt to make all religious doctrines the same. As Sanatana Dharma currently finds itself in its on-going attempt to interface its concerns with eternality vis-à-vis the present fact of modernity, it must both re-embrace its universal relevance for all of the Earth’s diverse human beings, while simultaneously retaining its own unique identity. Hinduism is not Christianity, nor is it Islam, Buddhism or Taoism. 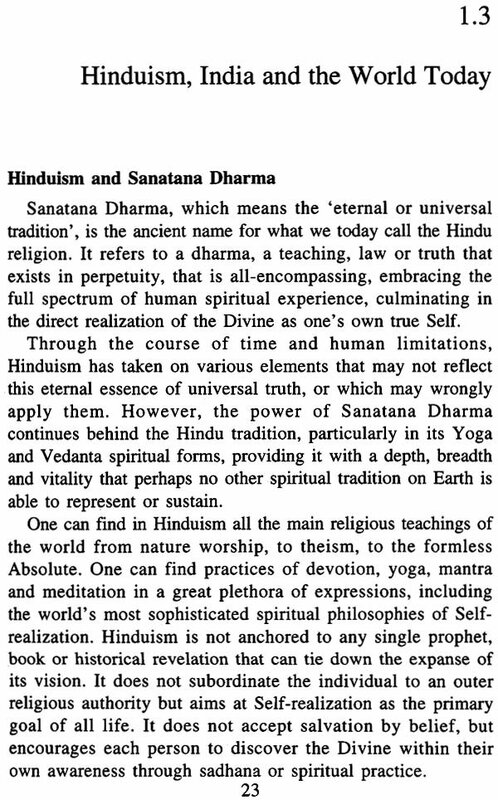 Hinduism is Sanatana Dharma: The Eternal Natural Way. It is only in rejecting the extreme notion of Radical Universalism, and asserting instead the universal applicability of Dharma in everyday life, that the future of Hinduism will remain secure, strong and relevant to the entire world. Up until the appearance of this present work by Dr. Frawley, few Hindu writers had written about the overtly political implications of Dharma as instantiated in contemporary political and governance issues. Two of the few exceptions to this rule were the brilliant Hindu scholars and writers Sri Ram Swarup and Sri Sitaram God. 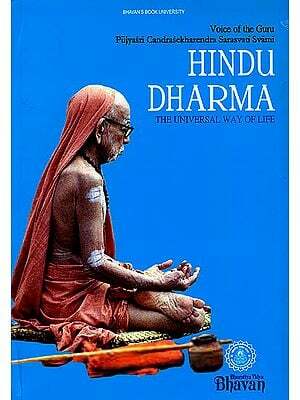 While many knowledgeable Hindus had always recognized that Dharma is not merely a spiritual path, but is also an ideological world- view that has direct insights to offer in the realms of politics, economics and social sciences, not many had been able to envision precisely what an ideology of Dharma politics would entail or even look like. In recognizing that Sanatana Dharma now finds itself once again in a position to assert itself as a growing global force for future spiritual, political, economic and cultural change, Dr. Frawley outlines throughout this book precisely what a healthy politically-engaged Hinduism will look like, as well as what it must emphasize and seek to accomplish, in overt political terms. 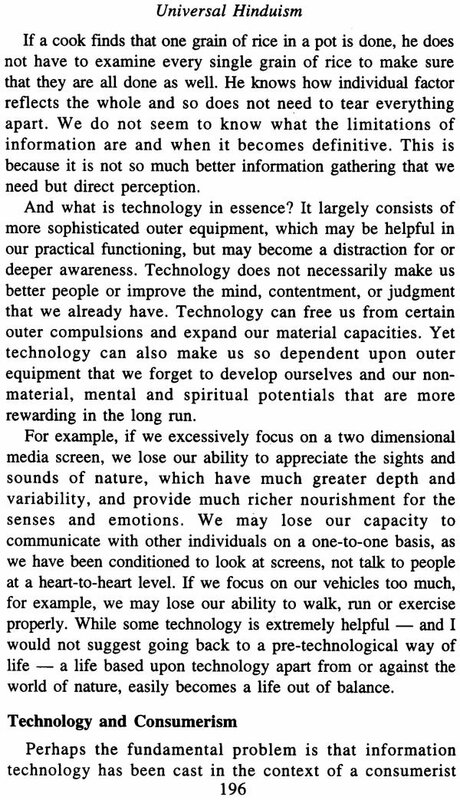 Part three of Dr. Frawley’s work is especially innovative and crucially relevant in this regard. Up till now, the political expression of Hinduism has been relegated to no more than a confused and not wholly successful sense of Indian nationalism, or “Hindu Nationalism”, as its polemically-driven critics in academia and the media have repeatedly termed it. 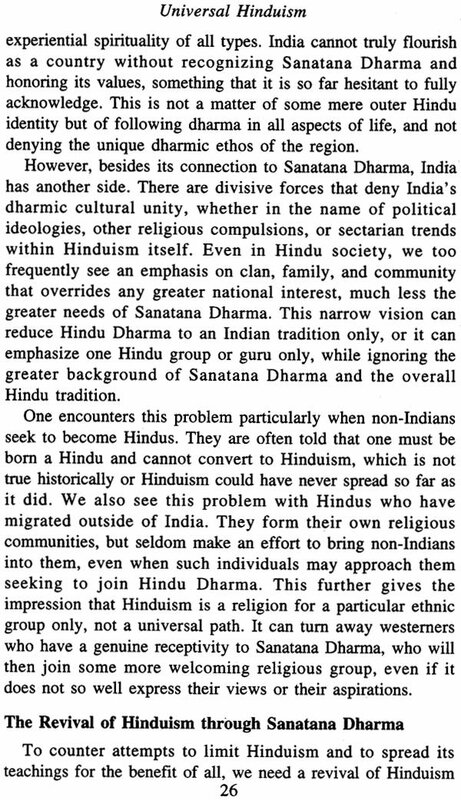 In keeping with the universal nature and relevance of Sanatana Dharma, however, Dr. Frawley correctly asserts that confining Hinduism to am mere parochial sense of Indian or Hindu nationalism is ultimately both politically shortsighted and not in keeping with the eternal mandate that Hinduism has to potentially inform and reform all political discourse universally. Dharma politics, like the eternal path of Sanatana Dharma that forms its very basis, cannot be relegated only to the current political scene in contemporary India, but must offer a vision of a better world for all human beings who inhabit our increasingly shrinking planet. Dharma is not a genetically circumscribed race or a nationality, but is universal Truth. Similarly, Dharma politics is necessarily open to all and has practical answers to offer all people, regardless of race, nationality or even religious affiliation. 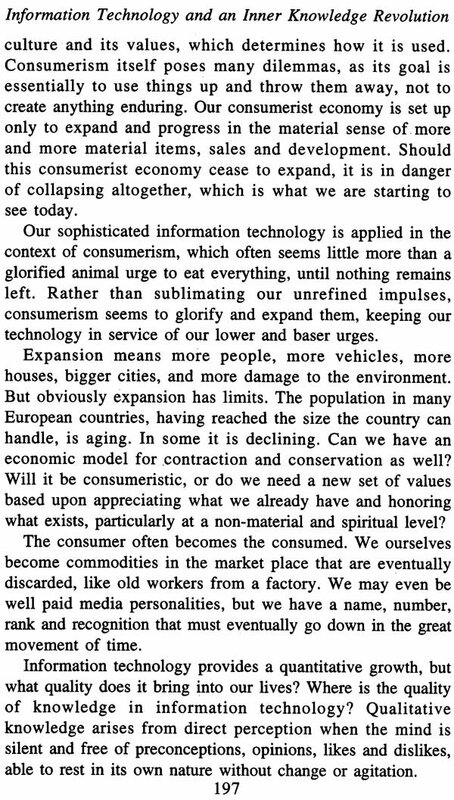 In Dr. Frawley’s vision of what such a universal, Dharma2ased political ideology seeks, he states: “To create a society in harmony with nature and with peace among all people, there must first be a dharmic foundation in order to uphold need a view of human civilization in harmony with all life The author then clearly states what some of the important issues are that Dharma directly addresses. Thus, Or. Frawley asserts that Hinduism can and must provide the philosophical foundation of not merely a narrowly envisioned Indian nationalism, but a universally applicable Dharma nationalism that all human beings can employ in their respective nation-states, communities and villages to make our world a more peaceful, compassionate and civilized place. While “Universal Hinduism” is designed to be neither an exclusive exposition on Dharrna political science per se, nor purely a political manifesto, it does cover previously uncharted ground in this regard, and I look forward to seeing Dr. Frawley write in an even more concentrated way on this precise topic in the future. 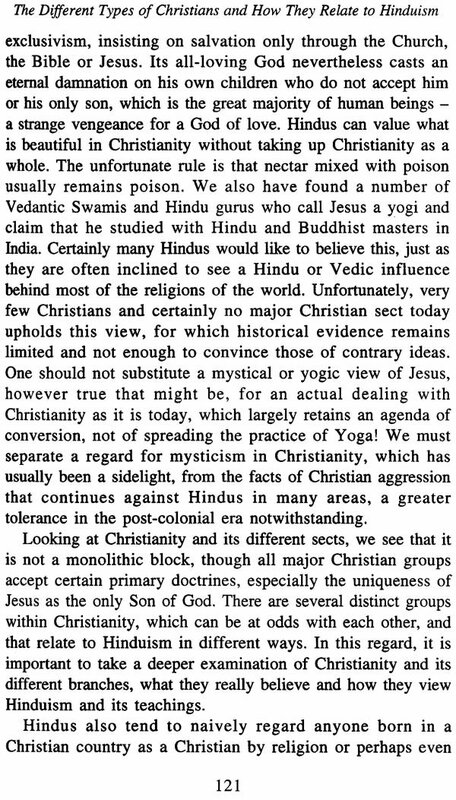 The fact that Dr. Frawley’s “Universal Hinduism: Towards a New Vision of Sanatana Dharma” is destined to become an instant classic in modern Hindu literature is both a given and a highly appropriate fact in my mind. It is a brilliant work. In it, Dr. Frawley provides the tools necessary to reformulate the eternal message of Hinduism, to communicate that message in until now untapped avenues of outreach, and to thus potentially reposition Hinduism on the world stage as the noble and keenly relevant global religion that it always has been. Dr. David Frawley Sri Veda-Acharya Vamadeva Shastri may have chosen to be physically born in a White American, formerly Christian, body in this lifetime. But I assure the reader that his inner self is nothing less than one of Dharma’s most cherished children, born in our day to elucidate the way of Hindu Dharma for all the world to better understand and appreciate.